Dhruva Jaishankar’s recent Strategist post  and Huong Le Thu’s ASPI special report  are useful correctives to the widespread misreading of the Quadrilateral Security Dialogue. That infrequent, irregular meetings of (not the most) senior officials from the US, Japan, India and Australia are seen as  a threat to ASEAN centrality and/or a containment device against China tells us more about particular ASEAN and Chinese sensitivities than it does about the Quad. ASEAN organises dozens of regular meetings at this same level every year, and all of them rightfully pass by with little or no mention. In this version of reality, regions are created and maintained by formal regional organisations that states are invited to join or not. Moreover, despite an expanding array of anomalies—including APEC , the Asian Infrastructure Investment Bank , ReCAAP , and the recently activated Comprehensive and Progressive Agreement for Trans-Pacific Partnership —ASEAN is and should always be at the centre of any region that includes Southeast Asia. Hence, the interstate institutions that give meaning to these wider regions should be ASEAN-plus bodies. Kevin Rudd’s 2008 Asia–Pacific Community proposal was read as ignoring this first principle and was declared  ‘dead in the water’. ‘Inclusivity’ is often presented as the second core principle of regionalism in this part of the world. In practice, however, the inclusivity principle is applied very selectively. It routinely excludes Taiwan, Mongolia and Pacific island countries, and at times the US, India, Australia and New Zealand. Indonesia’s conception of the Indo-Pacific enunciated  by Foreign Minister Marty Natalegawa in 2013 and its revision  under Joko Widodo’s administration reflect this predominant view, with the ASEAN-led East Asia Summit seen as the central Indo-Pacific regional body. The conflation of ASEAN-led regionalism with the region also misinforms many of the criticisms of the Indo-Pacific canvassed by Jaishankar and Le Thu. In this view, the Quad is the potential core organising mechanism of the Indo-Pacific that breaks both of the hallowed principles. The Indo-Pacific concept is disparaged  and frequently written off for not respecting ASEAN centrality and excluding China . Some critics go further and argue that the concept is best left with ASEAN to develop. These criticisms misread the Indo-Pacific regional concepts of the individual Quad nations and of the Quad itself, which are more the opposite of the predominant view of the region than a failed attempt to reproduce it. The Indo-Pacific concepts being defined separately but discussed together by the US, Japan, India and Australia and the informal, irregular nature of the Quad are overlapping responses to the shortcomings of the ASEAN-led selectively inclusive regional architecture. the desire to seek out areas of greater cooperation with ‘like-minded’ states through bilateral, trilateral and quadrilateral (or bigger) arrangements. 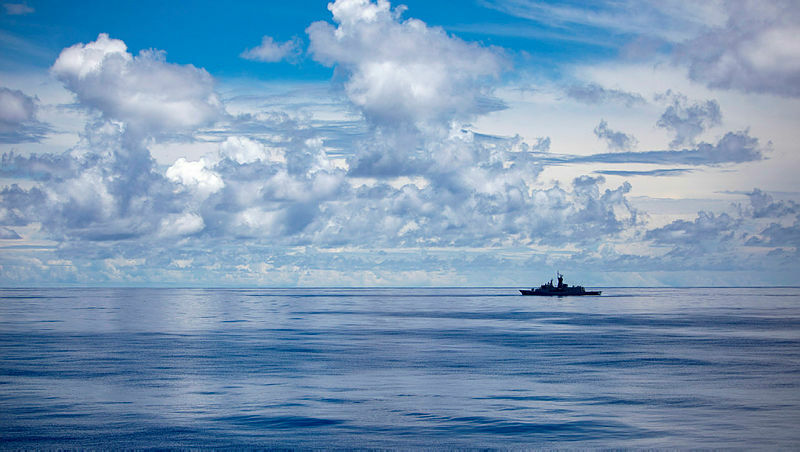 The Indo-Pacific concepts’ real message to China is that its aggressive behaviour in the Indo-Pacific is creating the opposite of harmony, a sense of common destiny, or a win–win situation. For ASEAN, the message is that the current regional architecture is a means for and not the end of regional cooperation, particularly for non-ASEAN member states. For ASEAN and China, the most productive response to the Indo-Pacific and the Quad may be self-criticism and not denial. Malcolm Cook is a senior fellow at the ISEAS-Yusof Ishak Institute. Image courtesy of the Department of Defence.